We need to ask questions. Inquisitive people question just about everything. They are curious as to the whys of things. Don't be afraid to let them ask. Don't be afraid to point them in the direction of the answer. Sometimes they just want to know where to look. Or how to find the answer on their own. 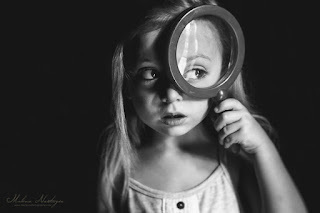 Sometimes I think we forget when toddlers grow up, they are still trying to find out about the world. They will not necessarily want the red crayon for the flower. They may see it in a rainbow, or in some other shade. It doesn't mean they cannot follow directions or are color blind, their minds think differently. Different is not a bad thing. It's part of what allows for inventiveness later on. Are you inquisitive? I know I am. More ammunition for the recovery toolbox. Is this love or confusion? All works copyrighted by Rebecka Vigus unless otherwise stated.. Simple theme. Theme images by luoman. Powered by Blogger.